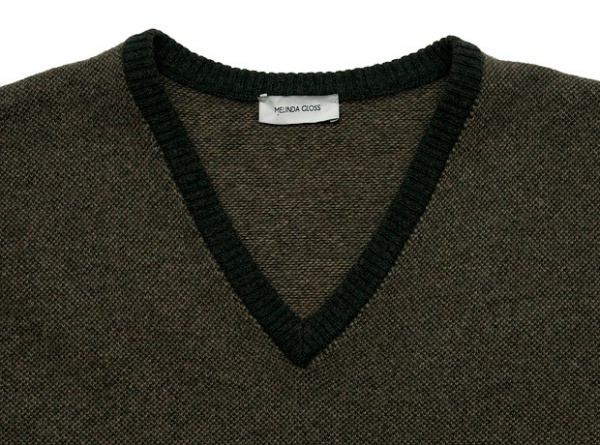 This made in Italy v-neck sweater by Melinda Gloss is perfect for slipping over a shirt and tie, or worn casually with a jacket and chinos. 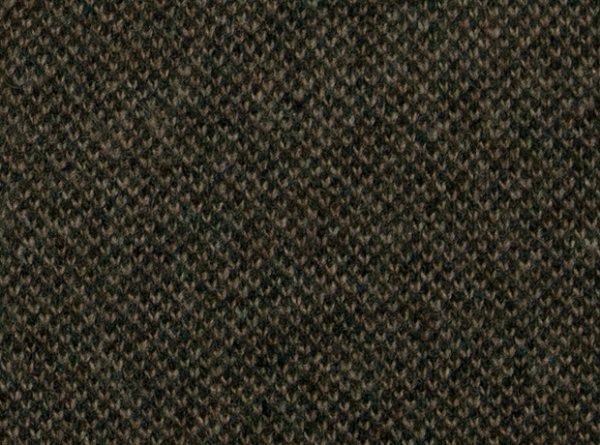 The dark green ribbed collar and cuffs add some nice visual texture to the mossy colour on the rest of the knit. Slim fit. 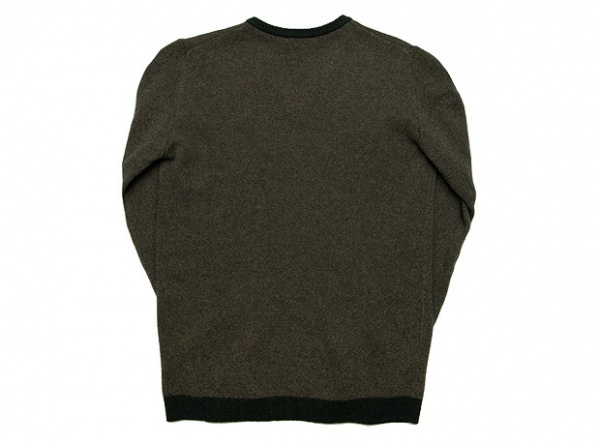 Made from 90% wool and 10% cashmere. 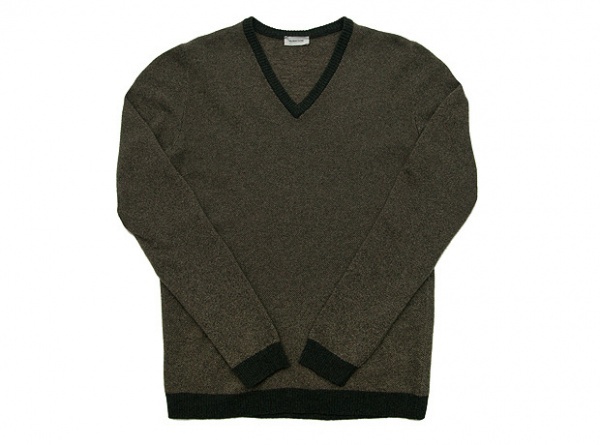 This entry was posted in Knitwear and tagged Melinda Gloss. Bookmark the permalink.